I am just starting out learning Nihongo, still learning kana, but I want to find a good book or reference material to start building on my understanding/reading. I have checked google and downloaded some but the suggestions are a bit complicated for me. Can you advise what strategy, aside from regular practice, and if you know of a good novel/book that I can use? (1) 日本語のよみもの: each link is a short paragraph or conversation with furigna above the kanji. Intermediate and advanced level materials are also given. (2) The 読み物いっぱい project: the books in this site are provided free of charge from volunteer writers. This is an ongoing project so I recommend bookmarking the site because they may add more books in the future. (3) 日本語教育の教材: open-source children stories, intended for language learners. Each story is shown as a picture of the original text, a hiragana-added version, then a comprehension test below the story. (4) NHK NEWS WEB EASY: displays the news in simple Japanese with furigana above the kanji. (5) The Reading Tutor Resource Bank displays stories in pane view, so you can click on the word to read its meaning from the pane on the right. (1) Ken Ijikevich Ujie's Page: same material as the Reading Tutor (they’re collaborators), without the reading aid. Your browser will need proper viewing settings like UTF-8 or Unicode, otherwise the page may display as gibberish. (2) MIT 読み物コレクション: essays, novels, articles, and more. Some are accompanied by audio to read along. For some reason I didn’t manage to use some of the site features (like the hover on dictionary), I hope you have better luck. Aozora library: online library for open-access Japanese and international classic literary works. I understand the impulse to head straight for the deep end. Unfortunately, any regular books or manga will likely be too advanced to be of use to somebody just starting out. If you have a Japanese bookstore anywhere in your vicinity, they will usually stock primers and books for kids. Don't be embarrassed to ask for help. These books and primers are quite useful and economical. Take a look at what is available in the 5-6 year old range. If that seems too easy for you take a small step up. If you are uncomfortable with using materials intended for kids, you can go with a Japanese textbooks for English speakers. There have been a few mentioned in the discussion boards, but it has been a while since I've used any. The reason I suggested books for kids is the heavy reliance on images as a way of making things fun as well as reinforcing the general themes in the story. 昔、昔あるところにThese books made entry into the language easier for me and some fellow students. 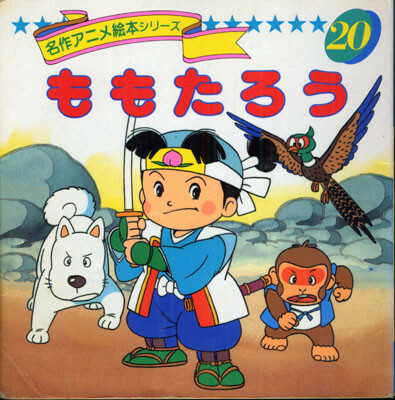 Below is an example of a picture book (絵本）in the 名作アニメ絵本シリーズ (Popular-works anime picture book series). This will give you some elementary Japanese training as well as teaching you a little cultural history. A site called ゆめある has some video books like this that you could check out as well. While text-heavy resources are useful, I would heavily suggest doing whatever you enjoy most and keeps you interested. Books, music, TV, etc. And, as always, the internet holds many treasures. Use the keyboard for Japanese! Found a book about Japanese slang and funny insults. I made a chrome extension for looking up kanji characters! Is "Japanese From Zero!" a good book for learning Japanese?